Philippe Cornaille has been appointed head at JFA Group of Companies – Hotels Division in Seychelles. When asked to give some background on himself, Philippe Cornaille starts by saying he was born in Luxembourg first, and married to “my lovely Virginie” second. Aside from being happily married, he also holds the demanding task of overseeing all the hotels of the JFA Group of Companies in Seychelles. Philippe Cornaille is another “return customer” to the Creole Travel Group team in Seychelles. He was previously the Resident Manager of the Le Domaine de L’Orangeraie of La Digue in 2009, before moving on in 2013 to Tsogo Sun Hotels in Dubai. He continued as the General Manager of the pre-opening phase of AVANI Les Berges Du Lac Tunis Suites, before returning back home to Seychelles to the JFA Group. Le Domaine de L’Orangeraie at La Digue and Le Domaine de La Reserve at Praslin are the hotels in that Hotel Group in Seychelles. Parallel to Constance Lemuria preparing to welcome the final of the golf tournament, the organising committee is working effortlessly to guarantee that the necessary means are put in place so that the tournament runs smoothly. 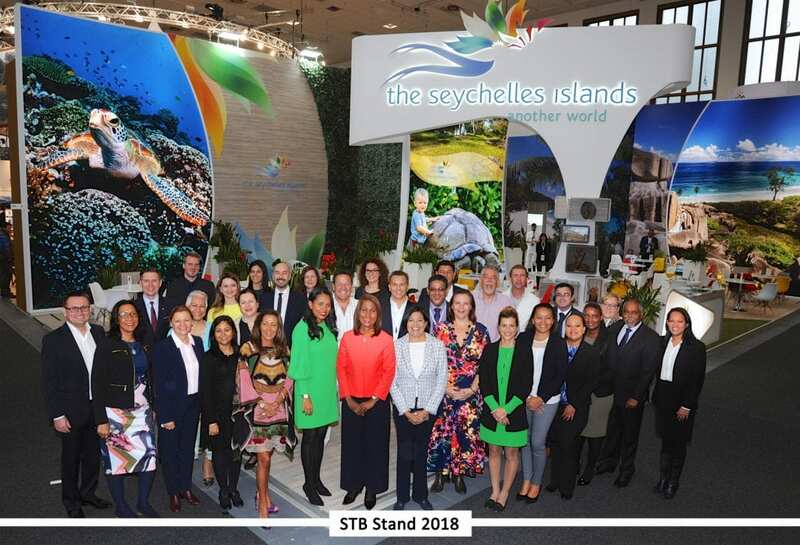 From the minute the guests set foot on Seychelles’ soil, the organising committee, with the help of its various partners, are in charge of ensuring that the guests’ stay in paradise goes without any hiccups. Amongst the various local companies who have offered to provide their support are local destination management companies Creole Travel Services, Mason’s Travel and 7 Degrees South, CAT COCOS, Takamaka Rum, ISPC Seychelles and Heineken. 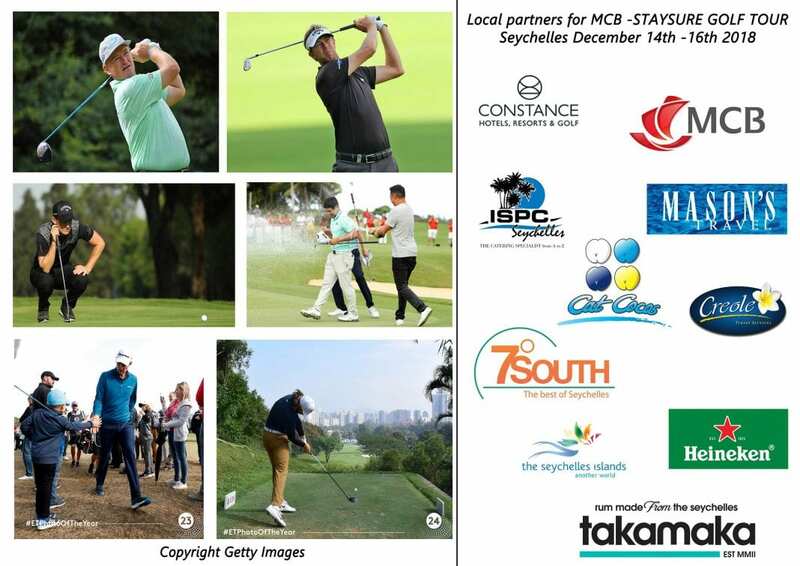 The 32 professional golfers together with Staysure Tour Officials, MCB partners and the international press will touch down in Seychelles on December 11, 2018, flying in on-board an Air Seychelles flight from Mauritius. The national airline will have three twin otters lined up to facilitate the transportation of golfers and their spouses and other invited guests to the second biggest island of Seychelles – Praslin. Creole Travel Services, Mason’s Travel and 7 Degrees South will be catering and making provision for the complimentary transportation of the participants between venues. The Operations Manager at 7 Degrees South, Ms. Lindy Cadeau, said that such is in line with the company’s vision of involving new grounds. “The resources have all been adequately allocated specifically for the event which will surely be an ideal opportunity to allow more exposure to the home of the mystical Coco De Mer fruit and Seychelles in general,” said Ms. Cadeau. She noted that the number of golf enthusiasts’ eager to attend destination tours over the years have grown significantly. Discussing Mason’s travel participation in providing support to the golf, Mr. Alvis, General Manager of the company talked about the importance of seizing such an opportunity for Seychelles. “Being part of the MCB-Staysure Golf event is an opportunity for us to show our pride as a local business to support such events being hosted in our country. We believe that our contribution to this event will not only help our company to get new clients but also the country to get new business through the interest that would be generated in this event,” said Mr. Alvis. Responsible for the transfer of the golf tournament partakers’ equipment and luggage and the Staysure delegation, CAT COCOS is making available a complimentary chartered boat to Praslin. Speaking about the Creole Travel Services’ commitment to be part of the MCB-Staysure Golf Tournament, Mr. Eric Renard, General Manager at the company mentioned the meticulous organisation behind the project from the organisation’s part. IPSC Seychelles, Heineken and Takamaka Rum will ensure that food and beverage are made available to the different members of the delegation as the golf tournament rolls on. Talking about the investment made for the event by ISPC, Mr. Alfred Alain Fourcroy, ISPC’s Chief Executive and Partner mentioned that the company is making provision to serve their best brands at the various events. He further mentioned that ISPC would also be assisting in serving Champagne to arriving guests on board the aircraft. “Our involvement in this event was a natural step for us. We have been actively supporting golf since 2013 via our competitions/events and more recently since 2016 being involved within the Seychelles Golf Federation. We believe this event is an amazing opportunity for Seychelles and we are delighted to be on board,” said Mr. Alfred Fourcroy. As another regular sponsor of golf events on our shores, the Takamaka Rum local distiller company took the opportunity to add its brand to the list of partners to the event. “Takamaka Rum is very proud to be one of the sponsors of the MCB Tour championship; we have supported golf in Seychelles for many years so it was an easy decision to make to be a part of the best golfing event ever to come to our shores. Best of luck to the all the Golfers,” said Takamaka Rum Managing Director Mr. Richard D’Offay as he spoke about their association to the prestigious MCB-Staysure Golf Tournament. With the tourism industry being the driving pillar of the economy of Seychelles, each member of the team has a specific role to play in making the first golf tournament in the 115-island archipelago of the Indian Ocean a success. Hosting such a high profile golfing event will secure higher visibility for Seychelles, potentially attracting more golf enthusiasts to the country – the perfect opportunity for one to relax and lay back while still doing what they love.